Good news, people. 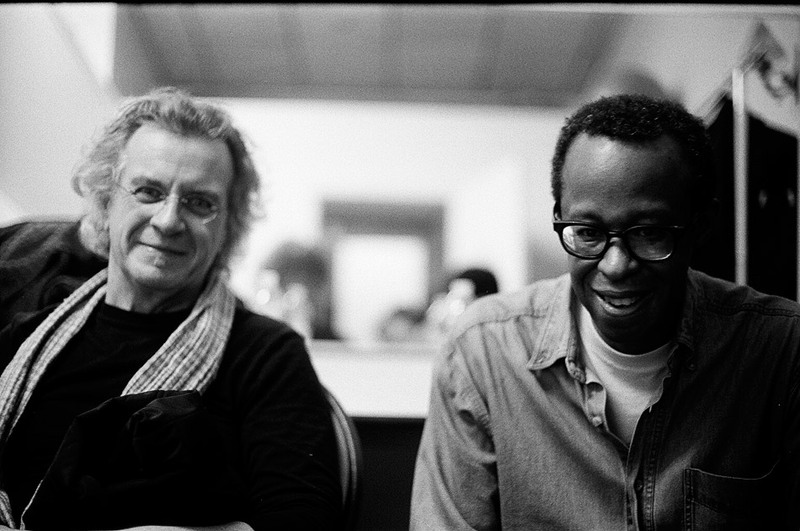 Matthew Shipp and Michael Bisio are returning to the Nashville VFW Post 1970 on Friday, March 27th! Their 2013 Nashville show was cited by many as the year’s top event. Piano player Matthew Shipp is national treasure, and if you’re even remotely interested in free jazz, you need to be at this show. Matthew was a longtime member of the quartet led by saxophonist David S. Ware (who sadly passed away last October). Matthew has also performed with William Parker, Roscoe Mitchell, Joe Morris, Mat Maneri, Daniel Carter, Barbara Januszkiewicz and DJ Spooky. He’s known for his wholly original piano-playing style which somehow manages to convert dissonance into harmony. Never resting on tradition, Matthew also experiments in other genres, including contemporary classical, hip hop, and electronica. Friday’s show is presented by FMRL Arts and also features The Xists, an experimental rock duo featuring Seth and Jocephus Hudson. Tickets are $20. Doors at 8 p.m. Show at 9 p.m.
Friday also marks the return of Future Night at Queen Avenue Art Collective. This installment features Terror’ish, Mge, Circuit Benders’ Ball alum Joey Molinaro, and Future Daze. There will also be art installations by Taylor O’Connor, Mike Kluge, Tyler Blankenship, and Evan Wise. Tickets are $5. Doors at 8:30 p.m. Show at 9:30 p.m.